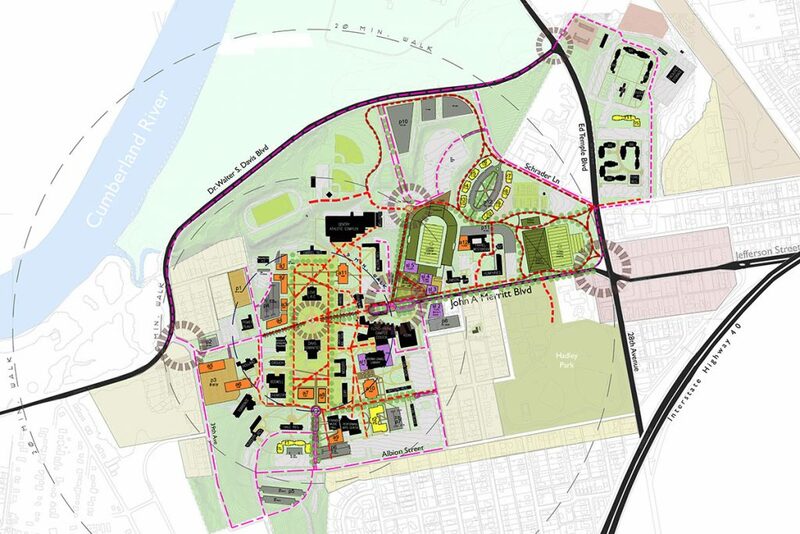 BKV teamed with consultants to analyze the physical condition of Tennessee State University’s two campuses. 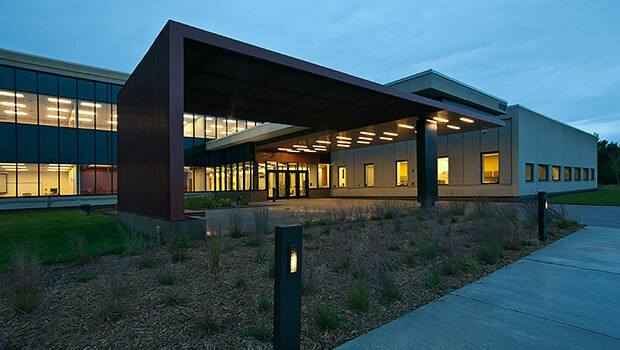 The resulting Master Plan supports a 50% growth rate over 5-10 years. 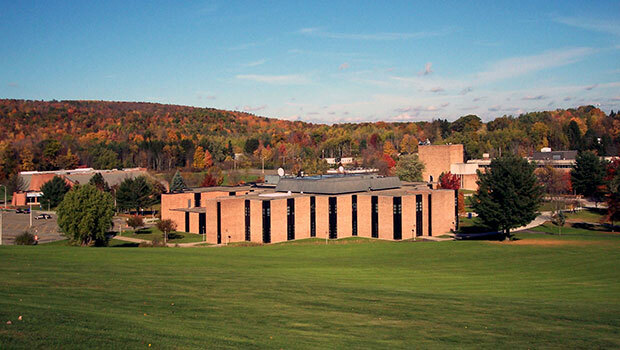 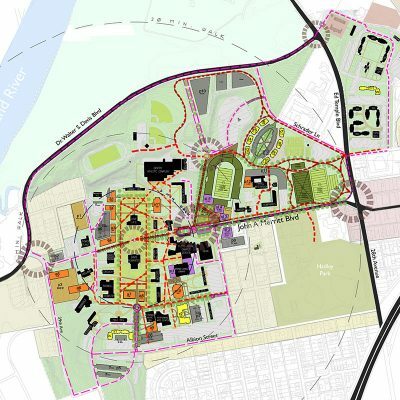 A campus-wide utilization analysis resulted in a program for new facilities, identified building locations and landscape developments necessary to serve current and future curriculum and potential growth.